> The Astral Plane is not a higher, superior realm of consciousness, but a lower, subordinate one. It is entirely our creation. > It exists only within the collective human subconscious, and it is an imaginary realm which is the “dumping ground” of every human thought, desire, fear and memory. There you will find every creature and vista that any human has ever imagined, so it is a vast and diverse place. > It is populated by creatures/beings that humans have imagined into existence, and it may also be a place where disembodied spirits have become trapped due to the activity of occultists who have been consciously creating regions of “order” within it. So this exploration of the Astral Plane will begin with me fleshing out the points I’ve just made, and will continue with a broad survey of astral information offered by the Theosophists, the New Agers, and many others. This survey will likely take many months to complete, and by the time we’re done, my working hypothesis will either be confirmed or destroyed. We’ll see, and you’ll decide. 1) Accessing the Astral Plane: Most people’s experience with the astral occurs in the dream state, which I’ll term the “quasi-conscious state.” In that state, it seems like we’re conscious and experiencing something, but we’re actually being taken on a ride by the subconscious. It is only when we realize we’re dreaming that we can enter the lucid state, in which both the conscious and quasi-conscious states are active at the same time. It is in the lucid state that we have control of our dreams and can consciously create in the astral. What the occultists have done is develop techniques to induce the lucid state on demand, so they are able to consciously create within the astral whenever they wish. And since each occult society is of one mind and agenda, its members synchronize their efforts to create beings, structures, and currents of thought within the collective subconscious that advance their aims. operating a non-standard, damaged, or trained brain (some are born with or develop anomalies or changes in the brain which inhibit the function of the natural partition between the conscious and subconscious minds). All of these techniques create a whole or partial gap in the conscious mind, thus allowing the subconscious mind to step forward and fill the gap. So when you use one of these methods to access the “spirit world,” you are actually accessing the subconscious / astral world. That’s why everyone sees what they expect to see (or fear to see) when they go there – American Indians might see the “Great Buffalo Spirit,” South Asians might see “Vishnu,” Christians might see “Jesus,” so on and so forth. All of the gods we’ve invented can be found there, and all the devils too. How do you project a reality and experience it at the same time? How can a reality hold any mysteries and wonder if you are aware that you are projecting it and know everything that will happen? Does the human collective subconscious generate the reality we are experiencing? I suspect the answer is “no.” It makes more sense to me that our reality is being generated by the subconscious mind of the next level up, so it is the subconscious of the soul level that generates realities for the conscious mind of the spirit level (our level) to experience. To put it a bit more simply, our earthly reality is a dream imagined and projected by our souls, and we spirits are the dream characters our souls have created to live in it. Looking upon this, we see the reason why our waking reality is so much more substantive and “real” than astral reality: it is generated by a more powerful (less limited) consciousness. Due to the limitations we are experiencing at our level, our creations just aren’t as solid (from our perspective at least). 4) Why do we reincarnate here? : Among those who have experienced or believe in the Astral Plane, it is generally assumed that we reincarnate onto the Earth over and over again. So why do we keep reincarnating as slaves in a world run by predatory, parasitic, criminal elites? Is it really that much fun being a slave over and over again? > As we touched upon in the previous entry, it may be that the consciousness that administers this reality is self-serving, so it mindscrews us into running in circles by convincing us that we are here to “evolve.” And as we reincarnate over and over trying to level-up our ego character, it feeds on us. > It may also be that the administrating consciousness isn’t self-serving; it’s simply running a reality in which one can experience the concept of evolving. And what we see as a soul trap is actually a system that was established to ensure that you don’t quit the process before you’ve completed the full experience (or have grown so weary of it that you self-terminate your ego character). > A third possibility is that the Earth reality has been hacked by some of our fellow spirits. Have the occultists created phony “spiritual realms” in the Astral Plane, and do they lure us into those realms by misdirecting us at the moment of death? If so, how do they insert us into new physical bodies without running afoul of the administrating consciousness? It may be that the occultists have created not only fake spiritual realms in the astral, but a fake Earth reality as well. And once we’re lured into their “synthetic afterlife,” we get reincarnated onto their “synthetic Earth.” So are we living on the original Earth or on an astral copy? Does the aura radiate INTO the body, or does it radiate FROM the body? Just like light comes OUT OF a light bulb, I would suggest that the aura comes OUT OF the body. And whatever thoughts are taking place in the mind of the incarnate being give rise to the color of aura it radiates. In other words, the body/spirit complex is the cause, and the astral aura is the effect. Likewise, all the rest of the Astral Plane radiates out of the body too – out of all our collective bodies. The Astral Plane is what emanates from the mental activity of incarnate physical beings. It is the residue of our thoughts held in the collective subconscious. It automates tedious, repetitive tasks (like walking, riding a bike, driving, etc.) so the conscious mind can focus on other things (making decisions and experiencing the consequences of them – experiencing this reality). It finds solutions to problems the conscious mind has set aside (that’s how ideas and answers pop into your head “from out of the blue”). And it animates the things we create in our imagination. It is this last function which gives rise to the Astral Plane, and it is the subconscious’ overall role of giving us what we want and expect that makes the astral such a tricky place. When you consciously enter the subconscious domain, it bends over backwards to meet your desires and expectations, so you are shown what you most expect to see. The “dominant expectation” it reflects back to you is a compilation of every idea you’ve previously encountered, thought, and accepted about the “spiritual world” / Astral Plane. That’s why everyone sees differently when they go into the astral; two or more people see the same things only after they’ve synchronized their dominant expectation, usually through a “master” who teaches them to see things the way he/she sees things. On a related note, it was these properties of the subconscious that got me started in writing. One night back about 2003 or so, my subconscious showed me a hyper-vivid dream in which I was speaking on spiritual matters from the podium of a hotel conference room. As I spoke, I was utterly amazed at what was coming out of my mouth, but I soon realized that it was the compilation of all the spiritual thoughts I’d had over my lifetime. Apparently, my subconscious had taken all my thoughts and organized them into a coherent system, and the dream was letting me know that the process was complete. Upon waking, I started writing down everything I dreamt, and since then, I’ve been unable to stop. I still have barely scratched the surface of all the ideas I want to share. Oddly enough, the dream also showed me the sort of audience I would be drawing. The conference room was moderately large and sparsely occupied, but everyone there was leaning forward with rapt attention. And the doors were open, with more people steadily filing in. When the globalists stop stalling and make their move, perhaps the conference room will finally fill to capacity. 7) Hypnotic Suggestion and Astral Sight: I once saw a stage hypnotist tell his subjects that the people in the audience were on fire and they should go put the fires out. Needless to say, the subjects saw what they were told to see and dutifully waded out into the audience and attempted to pat out the fires, much to the amusement of those on the receiving end of their efforts. So in that case, the hypnotist placed his subjects in a state of quasi-consciousness in which the conscious mind was passive and the subconscious mind was active. And upon being given the hypnotic instruction, the subjects’ subconscious minds overlaid a projection of fire upon the superconsciousness’ projection of physical reality. A similar dynamic takes place when a “master” instructs his pupil on the “proper seeing” of the Astral Plane. The master’s suggestion of what the pupil should be seeing becomes a hypnotic suggestion of sorts. But since the pupil has both his conscious and subconscious minds in active mode, it takes some degree of effort to finally see what his master is suggesting to him. And if the pupil’s conscious mind – which is the decision-making mind – were to reject his master’s suggestions, he would not see anything his master is programming him to see; he’d see according to his own dominant expectation. The more you dig into what the earthly elite and their companion occultists are doing in this world, the more you see what a HUGE role hypnotic suggestion plays in it. They are training us all to see what they want us to see, because by controlling what we perceive, they can influence the decisions we make. The link leads to a free PDF of the book on BlavatskyArchives.com, or if you are a Kindle reader, you can download it for 99 cents on Amazon. I encourage you to read along as I point out the parts that grab my attention. 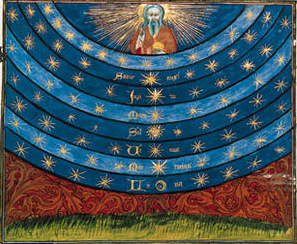 And as we explore this and other works on the astral, I’ll continue making my case for it being a subordinate reality. Through this approach, I’ll be able to gauge whether my hypothesis grows stronger and stronger or weaker and weaker in the face of contradictory information. Since this survey will take a while, I’ll do it on a page devoted to this subject: Exploring the Afterlife. This entry was posted in Spiritual Matters on February 16, 2017 by kenneth.